Download the Harpon app and practice seaside fishing around Gaspésie. The app gives you all the information you need to practice this fishing. Where to fish, docks or natural formations. 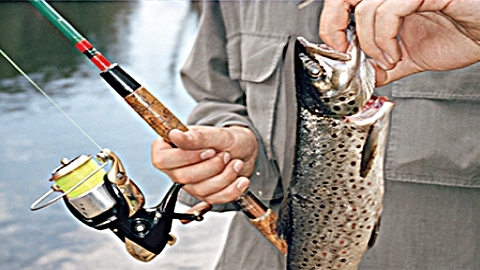 Fishing equipment to use and where to get it. Accessible to all at all times. No need fishing license or sophisticated equipment. The only investment is your fishing rod that you can get for a reasonable cost in the supermarket. You will find in the app all the details to choose the right model of rod and reel, lures, etc. Do it yourself without a fishing guide or outfitter. The app includes the list of thirty free access docks in Gaspésie and hundreds of natural sites where you can go fishing for free. Fishing by the sea, just full fun! Visit the website telepeche.ca for more information and additional support.